Jenny provides clinical supervision and mentoring to other clinical, welfare, health and community workers. This is done either one on one or within groups, face to face or using Skype. For more information contact Jenny. In 2009 a book on working with young people was released that includes a chapter co-authored by Jenny. Titled ‘Alcohol and Young People’ the chapter provides practical suggestions on interventions to use with young drinkers. Levingston, B. & Melrose, J. (2009). Alcohol and Young People. 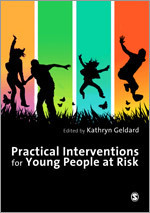 In Practical Interventions for Young People at Risk, K. Geldard (Ed.). London: Sage. In 2006 – 2007 Jenny consulted to the Network of Alcohol and Drug Agencies (NADA) with funding from NSW Health to write the Mental Health Reference Resource for Drug and Alcohol Workers. The finished product is a resource that contains basic information on mental illness, including an overview of the causes, symptoms and treatments for most common conditions. It is designed for drug and alcohol workers who have not been trained in mental health. In 2008 – 2009 Jenny wrote a training program on working with people using substances to be provided to community mental health workers in NSW. The project was funded by NSW Health and managed by the Network of Alcohol and Drug Agencies (NADA) in partnership with the Mental Health Coordinating Council (MHCC). The workshop was trialled with Aftercare (Penrith) staff and evaluated well. It is now being rolled out across NSW. 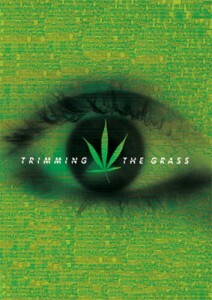 In 2002 Jenny wrote a drug information workshop for Centrelink workers. This was delivered between 2002 and 2004 in Sydney and Brisbane and evaluated well. In 1999 the Australian Psychological Society’s (APS) formed a working group on Substance Use Issues of which Jenny was a founding member. The working group produced two publications – a position paper and a discussion paper. Rickwood, D., Crowley, M., Dyer, K., Magor-Blatch, L., Melrose, J., Mentha, H., & Ryder, D. (2005). Perspectives in Psychology: Substance Use. APS Position Paper on Psychology and Substance Use. Rickwood, D., Crowley, M., Dyer, K., Melrose, J., Mentha, H., Ryder, D. & Magor-Blatch, L. (2003). Psychology and Substance Use: Potential Contributions and Professional Training Needs. APS Discussion Paper. Two of the working group members, including Jenny, edited a Tip Sheet for APS psychologists to use. Australian Psychological Society (2003). Tip Sheet: Alcohol and Other Drugs. Eds. H. Mentha & J. Melrose, APS: Melbourne. Lawrence, K. & Melrose, J. (2002). The Do-It-Yourself Guide to Peer Education with Parents. MDECC, Sydney. In 1999 – 2002 Jenny worked in a consortium conducting Drug Information Short Courses in Indonesia. Melrose, J. (2008). Dual Diagnosis: Issues, engagement and interventions. Personality Disorders in the Workplace, AUSMED Conference Proceedings, Brisbane 16th June. Melrose, J. (2002). Parents Prepared: A parent peer education/intervention program. Presented at the 3rd International Conference on Drugs and Young People, Randwick, Sydney, May. Melrose, J. (1999). Harm Minimisation at One End of the Spectrum: Foley House. Unpublished monograph. Presented at the Australian Professional Society on Alcohol and Drugs (APSAD) National Conference, Canberra, Nov 1999 and to the National Drug Strategy Unit, Commonwealth Department of Health and Aged Care, Canberra, April 1999. Rickwood, D., Beckwith, J., Crowley, M., Dyer, K., Fry, C., Melrose, J., & Ryder, D. (1999). The Australian Psychological Society Working Group on Drug Policy. Presented at the APSAD national conference, Canberra, Nov 1999 and at the APS Conference, Hobart, October 1999. Submission to the Standing Committee on Social Issues: Hepatitis C: The neglected epidemic, Inquiry into Hepatitis C in NSW. Parliament of NSW Legislative Council, Report Number 16, November 1998.